Kazuki Takahashi (高橋 和希, Takahashi Kazuki, also known as Kazuo Takahashi (高橋 一雅, Takahashi Kazuo), born October 4, 1963) is a Japanese manga artist and game creator, best known for creating Yu-Gi-Oh!. Takahashi started as a manga artist in 1982. His first work was Tokiō no Tsuma (闘輝王の鷹), published in 1990. One of his earliest works, Tennenshoku Danji Buray (天然色男児BURAY), was published from 1991 to 1992 and lasted two volumes. Takahashi did not find success until 1996, when he created Yu-Gi-Oh! Takahashi's Yu-Gi-Oh! manga led to the creation of the Yu-Gi-Oh! Trading Card Game published by Konami. Originally intended as a one-shot in the manga's episodic introduction of new games, the game was named "Magic and Wizards" as a reference to the card game Magic: The Gathering and its publishing company Wizards of the Coast (the card game's name was changed to "Duel Monsters" in the anime adaptations). However, Shueisha, the publisher of the Weekly Shōnen Jump magazine, received so many letters and fan-mail asking about "Magic and Wizards" that Takahashi decided to extend it. Takahashi has continued to supervise the creation of Yu-Gi-Oh! manga since the end of the original manga's run. In 2018, Takahashi published the limited series The Comiq in Weekly Shōnen Jump. Takahashi collaborated with Yoshio Sawai by drawing a picture of Dark Yugi for Bobobo-bo Bo-bobo, where he pops out of Bobobo's afro at one point. In return, Takahashi included the nu handkerchief in a panel of the thirty-fourth volume of Yu-Gi-Oh!. Takahashi and Mike Mignola, the creator of Hellboy, also participated in an art exchange (with Takahashi drawing Hellboy with Yugi Mutou's hairdo, a Millennium Puzzle, and a duel disk and Mignola drawing Hellboy wearing a Millennium Puzzle and a Yugi T-shirt). Takahashi likes to play games such as shogi, mahjong, card games, and tabletop role-playing games. 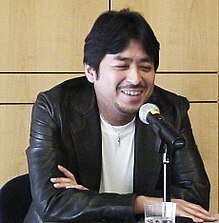 In an interview with Shonen Jump, Takahashi stated that his favorite manga from other authors included Akira by Katsuhiro Otomo, JoJo's Bizarre Adventure by Hirohiko Araki, and Dragon Ball by Akira Toriyama. He also enjoys reading American comics, with Hellboy being his favorite American comic book character. ^ "Anime News Network - Kazuki Takahashi Draws 'Drump' 1-Shot 9 Years After Yu-Gi-Oh's End". ^ Hodgkins, Crystalyn (October 5, 2018). "Yu-Gi-Oh! Manga Creator Kazuki Takahashi Launches Short Manga in Shonen Jump". Anime News Network. Retrieved January 24, 2019. ^ "When Yugi Met Hellboy..." Shonen Jump. Volume 2, Issue 9. September 2004. VIZ Media. 330. ^ "Kazuki Takahashi Archived 2008-04-12 at the Wayback Machine". Shonen Jump (USA). VIZ Media. Retrieved on September 27, 2009. 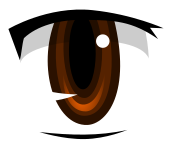 This page was last edited on 24 January 2019, at 06:17 (UTC).